Azores fascinating archipelago marks the westernmost end of Europe with spectacular landscapes and never-ending panoramic views. Terceira Island is one of the 9 island of the archipelago. Praia da Vitória, major point of interest about 20 km northeast of Angra, is one of the most modern towns in the Azores. Located in a large bay on the east coast, this pretty town boasts a long and attractive sandy beach, a smart marina, a nice pedestrian shopping zone and a very pleasant ambiance. 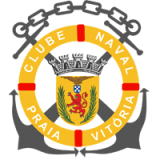 Having organised successfully the last Formula World Championships, the Club Naval Praia and the Acores Government, will, without any doubt, deliver a perfect organisation for this first Wind Foiling World Championships. With an average temperature of 22 degree with generous and stable wind conditions, the bay of Praia promises spectacular races.